So you will probably already know but if not we are heading back to Walt Disney World Resort in Florida in approximately 180 daysssss…. ok maybe precisely 180 days … !!!! Clearly I’m counting down but I knew it was exactly 180 days today as we were able to book the majority of our table service dining and wanted to share with you all where we’ve this trip chosen to eat. We are heading back over the pond end of April into May and having been this time of year before we knew that although we probably won’t encounter many issues in getting reservations nearer the time and whilst we are there there were a few restaurants that we specifically wanted eat in and with small children in tow also at a certain time. We are heading to Crystal Palace in Magic Kingdom on the first morning. Magic Kingdom is ALWAYS our first stop but we have never actually been to Crystal Palace before so we are very excited about checking that out. We managed to get an 8:20am reservation here too meaning (and although we can’t be sure what the hours are at the moment as they are crazily not even out yet!) chances are we will be able to get into the park before official opening at 9am which will be very cool! That same day for lunch we have booked Be Our Guest at 1:10pm – we LOVED Be Our Guest before and since our last trip both children are now obsessed with Beauty and the Beast so that and the fact is a quick service at lunch it was a no brainer that that was going to be ‘on the menu’ somewhere on that first day. You can check out our YouTube review of Be Our Guest here. The next day we plan to be in Hollywood Studios and so have booked another ‘first time’ dining reservation at Hollywood & Vine but this time for dinner. We have eaten and Hollywood & Vine before but back in 2012 when Zac was a baby and they had Handy Manny, Oso and Jake and the Neverland Pirates. Since then they have introduced a Minnies Seasonal Dine at Hollywood and Vine where we can also join Mickey, Daisy, Donald and Goofy for dinner celebrations. This booking has also allowed us to book it as a ‘Fantasmic package’ which means we will get VIP seating at the amazing Fantasmic show that night which is fab because we absolutely love that show and hopefully won’t have to get in there as early as normal! Epcot is where hope to be heading the following day to another ‘never been before’ restaurant; Chip n Dales Harvest Feast Dinner at the Garden Grill (5:15pm). Every time I pass this restaurant in The Land I admire the menu – it’s something I can’t help but describe as ‘proper food’ rather than just your pizzas, burgers and chicken tenders! 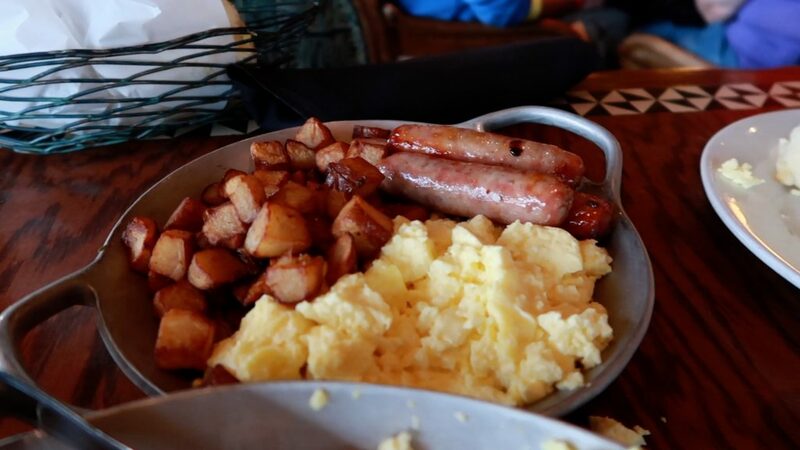 Saturday we are heading to Donald’s Dining Safari Breakfast at Tusker House. We have been here a few times and it is for sure the breakfast with the most variety of food. It’s a really big place and it does take a while for the characters to come around but I feel this is why they have so much food as well because it is certainly one that we spend the longest time eating breakfast at for sure! Again this reservation is at 8:10am so we hope to get into the park before the park opens for some fab ‘park empty’ photographs. The following day we are heading back to Whispering Canyon (6pm). We went here on on our last trip and although it’s located at a resort (we plan to go to Typhoon Lagoon this day so will end up driving to the resort) and it is timely to get there having to take a boat, it’s really quite cool! It’s such a fun experience and really good ‘proper food’ !! Monday is our wedding anniversary that we of course have to spend a little bit of the day in Magic Kingdom so we have chosen Tonys Town Square (Lady and the Tramp is quite a fitting film I feel for us 😉 !!) We intend to go shopping during the day, head back to Cypress Grove where we got married and then head into Magic Kingdom for dinner – we will also be staying for the Kiss Goodnight when the park closes ! 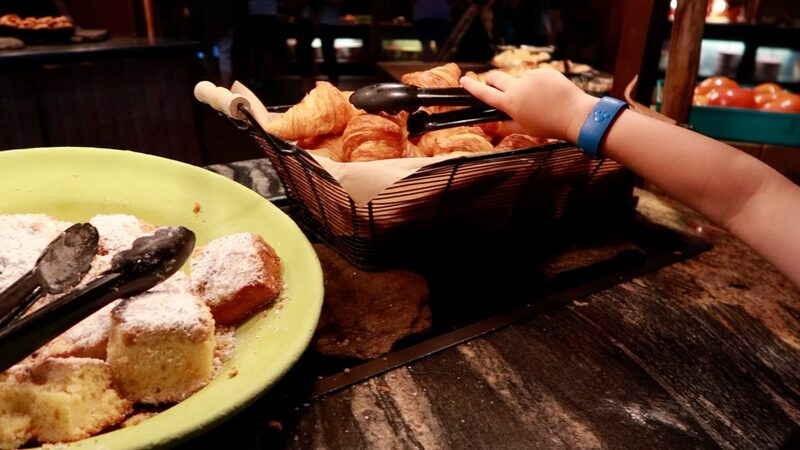 The following morning will again be another one we haven’t yet done before – although we have obviously been in Be Our Guest before we have never eaten breakfast. I have always refused to pay $15 for a bowl of cornflakes to be honest but we are on the free Disney Dining this year so we are taking full advantage! That night we have chosen to head back to Be Our Guest and eat dinner there too. 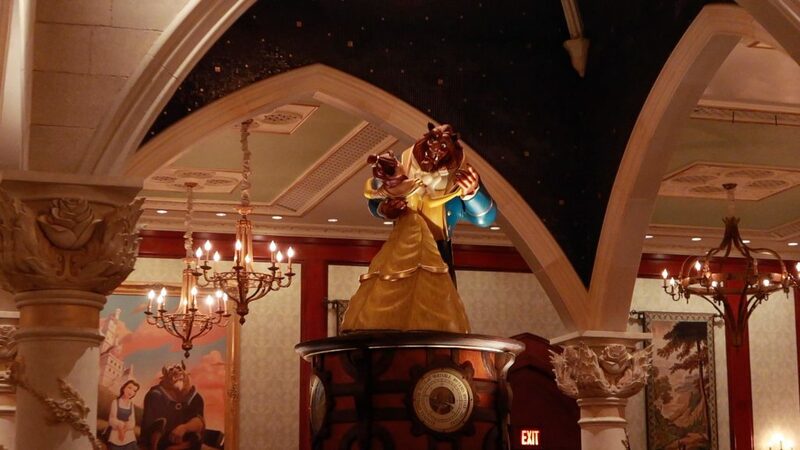 It’s only at dinner that you get to see Belle and Beast – they don’t come out during the day as it’s both quick service but dinner is sit down/table service so very much looking forward to that! I may even cry a little! Wednesday we are heading back to Beaches and Cream (5pm) and the Beach Club for dinner – I loved the quirky american diner style of Beaches and Cream and the ice creams are to die for! Next days breakfast we will be heading to ‘Ohana (that we cannot help sing in a Moana-song style voice!). This time we will have to remember to get our Lays before we head up to breakfast from Guest Relations as they are really cool to wear especially when dancing around the restaurant with Mickey and Stitch! You can check out my YouTube review on ‘Ohana here. 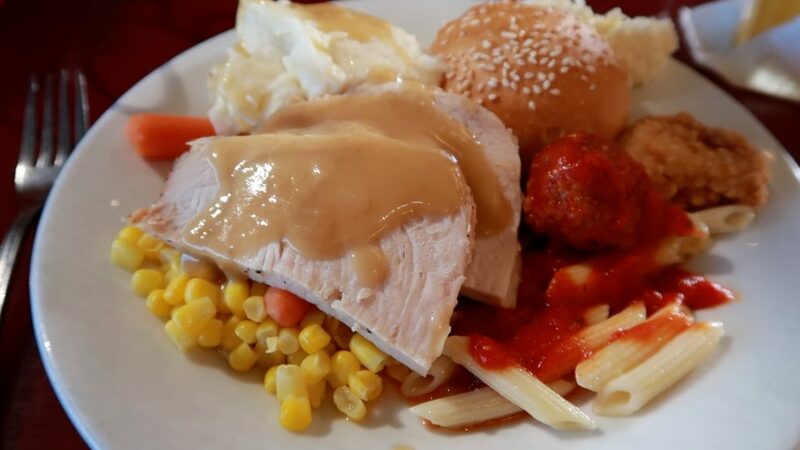 That day will be spent in Magic Kingdom and for dinner we will be heading to another restaurant whose menu I always admire when I walk past it at Liberty Tree Tavern again serving ‘proper food’ in turkey breast, mash, veggies and stuffing. Friday we have all intentions of heading to Blizzard Beach before heading back to the Contemporary and dining for dinner at Chef Mickeys. Alex loved the variety at Chef Mickeys last time and it was probably the place the kids ate the most all holiday at a sit down meal! We got pretty much every dining reservations we wanted but unfortunately we could only book 10 days out the whole 14 at the 180 mark – based on what we have already booked and the fact we have gotten everything we wanted at the times we wanted too I really can’t see us having any issues booking the days following over the next 4 days! Would love to hear some of your Disney ‘must visit’ restaurants at Walt Disney World – do you like us HAVE to go back to certain ones or do you prefer to do new ones every trip – drop a comment down below! Thanks for reading and if you want to check out our Florida 2016 vlogs over on YouTube in addition to the links I’ve already dropped above you can also find the whole playlist here. 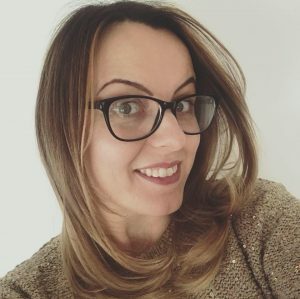 Previous Post #sdfiverchallenge with BritMums ! You have some lovely reservations, the kids will love them. I have always wanted to try cape may at the beach club for breakfast. There is just something about Minnie and Mickey in their beach wear ? Look forward to more updates. Cape May at breakfast was awesome…. want massively impressed by the food variety it was very simple but the character interactions and them in their swimwear was soooo cute! Great choices we’ve done a lot of the restaurants you’ve mentioned. If magic kingdom opens at 9am you can go in at 8am anyway now the opening show is at the castle. Plenty of opportunity for photos whilst the park is quiet you can wander as far as the castle – we got some great shots this year.